Somewhere in Japan a dead body is found on a film set. A British journalist arrives to investigate the potential murder. A series of strange encounters with an offbeat cast of characters follow; a fallen actor, a creature living between hotel floors and a psychic 13 year old girl with a Talking Heads obsession. Somewhere between a cinema and a theatre, Massive Owl present a work in progress sharing of the second part of their Distortion Trilogy – a dark re-imagining of Haruki Murakami's novel, Dance Dance Dance. 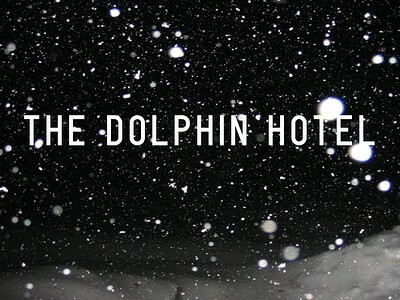 The Dolphin Hotel has been supported by: Bristol Ferment, Redbridge Drama Centre, The Pound Arts Centre, INTERVAL and the Barbican Centre. Massive Owl have made and toured work across the UK and internationally, most notably at the Barbican Centre (London), Project Arts Centre, (Dublin), HOME (Manchester), The Lowry (Salford), Mayfest (Bristol) and OUTNOW! Festival (Germany).